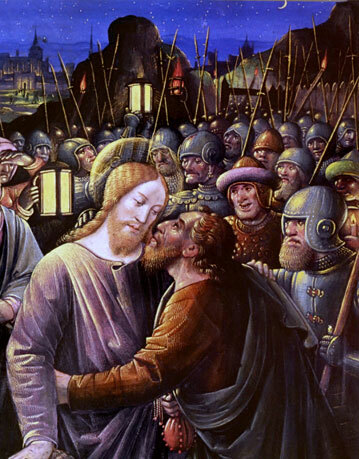 Judas Iscariot, not to be confused with St. Jude Thaddeus, was one of Jesus’ twelve Apostles. Judas Iscariot is also not the same as Jude Thomas (known to us as St. Thomas the Apostle). We do not hear much about Judas in the Bible, except that he is mostly known for betraying Jesus in exchange for 30 pieces of silver. We do know that he was the son of Simon Iscariot and that Jesus knew Judas would betray Him.